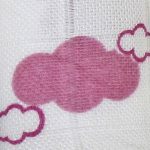 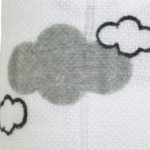 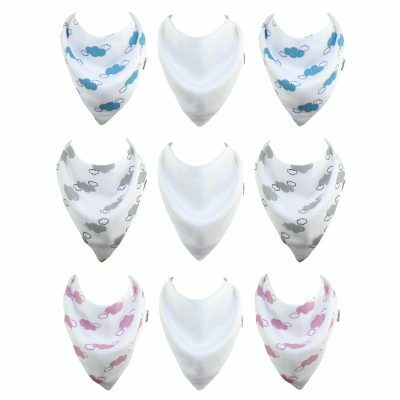 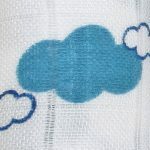 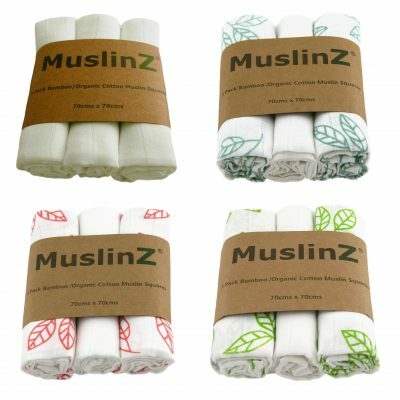 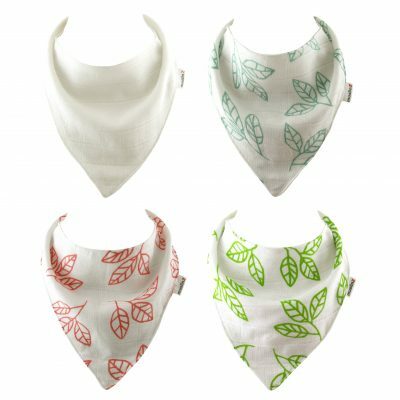 MuslinZ luxurious 70% bamboo/30% organic cotton box set including 2x 120x120cms muslin swaddle wraps, 3x 70x70cms muslin squares and 3x double layer muslin bibs with the exclusive cloud print design by MuslinZ. 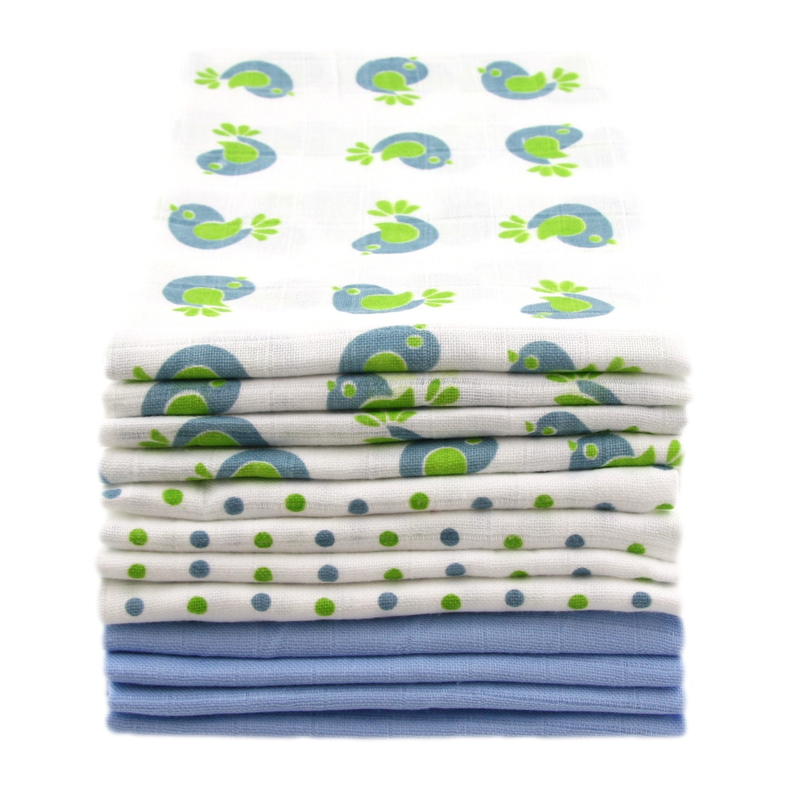 Extremely soft yet robust for practical use and washing whilst being light and breathable. 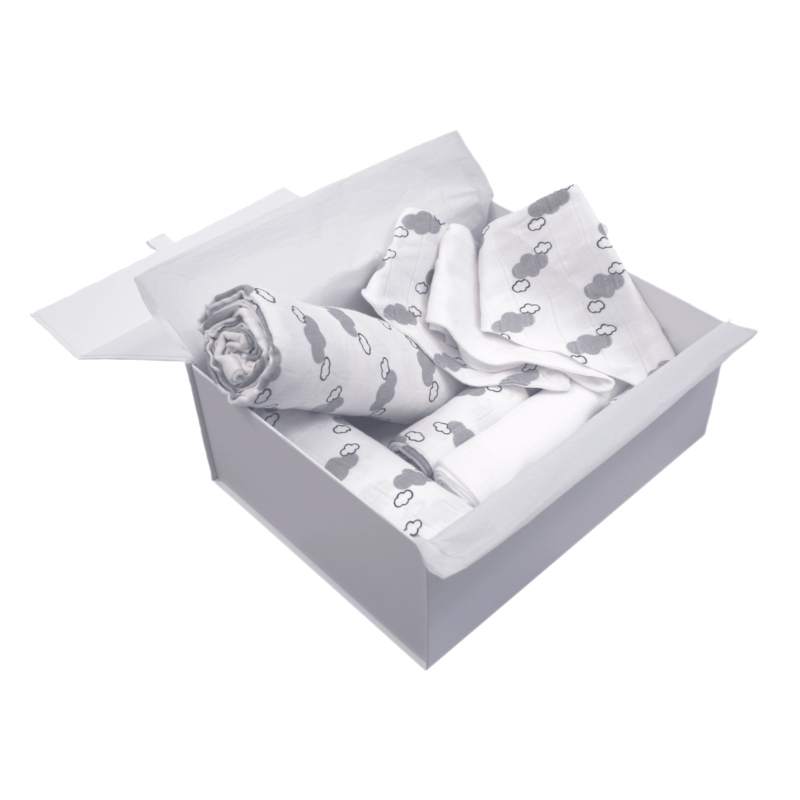 The set provides you with all the essential muslin products perfect for a new baby, as a baby shower gift or as part of a baby hamper. Comes in a white gift box with MuslinZ ribbon and tag.